Ok... I'll admit it, I'm totally and completely obsessed with shoes. To the point that I literally get tears in my eyes whenever I see a breath taking, faint worthy, oh-my-gosh what can I sell to afford those, pair of shoes. When Fall comes, well... the heels become even more uh-mazing. As we strut through September I've been obsessing majorly over jewel tones. The rich wine burgundies and deep blue turquoises are all over this years must-have holiday heels. Fall not only brings us cold weather and pumpkin spice lattes, but more importantly, some seriously fierce shoe selections. As fun as skinny stilettos and sandals are during the hot summer months, it's fall shoes that really bring on the fashion. Among my favorites are knee high boots, chunky heels, wedge booties, and ankle boots. I'm also loving luxurious leather, rich velvets and all of the gold and silver studded shoes. Above are three of my favorite fall shoes. 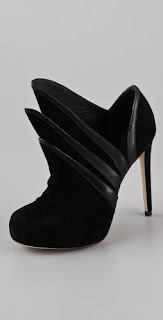 I'm so impressed and insanely in love with Giuseppe Zanotti, Rachel Zoe and Diane Von Furstenberg's Fall 2011 collections. These ultra fabulous designers have meticulously filled their collections with all of my favorite fall trends. 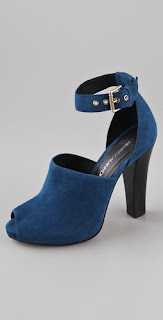 Below are some amazing shoes currently available online at Shopbop.com. Click the picture to shop the shoe. Which fall shoe are you lusting over? I like all of them, but my favorite are the first ones! I'm obsessed with shoes! 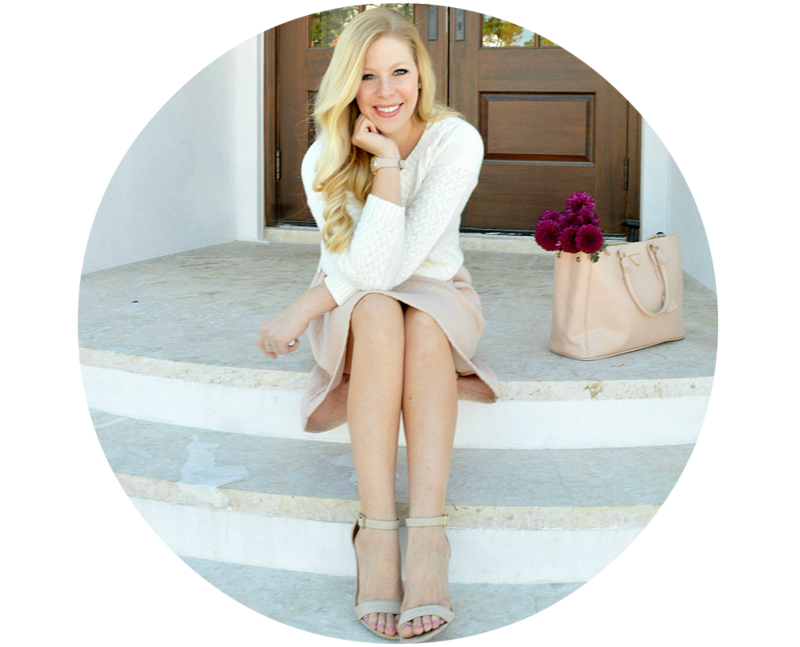 I love your picks - the wedge boots are gorgeous! i am the same - anything for a shoe. 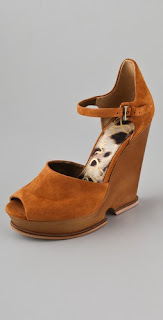 i love those rachel zoe wedges. 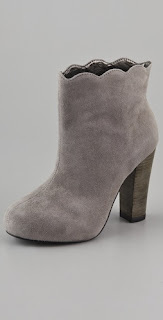 Dying for the Grey Charlotte Ronson bootie. 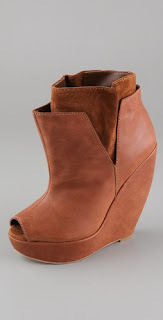 I need to put some $$ aside of my fall shoe obsession! 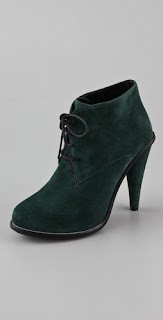 So excited for Fall shoes ... suede, leather, and booties are my personal faves! Oh wow, great picks, especially the thigh high boot and wedges! What a great post. 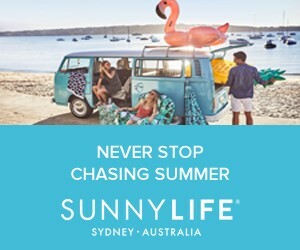 I didn't see a single pair that I didn't like!!! Wow. 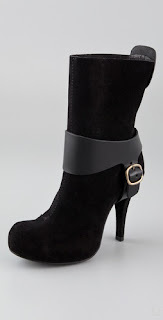 The Rachel Zoe booties are very very me. Great pulls. I need to own them all. These shoes are fantastic. I love your taste and the way you write. So happy I learned about your blog sooner than later. Time to start saving for the first pair. lol. 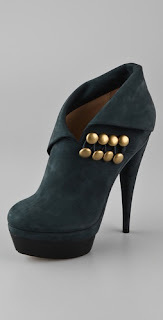 I really like those scalloped edge booties, the black ruffle peep-toe heels and the first teal heel with the studs. I love the little grey boot. I love shoes too!! And I love those green booties! These are all great designs. Fall is my favorite time of year, just for the fact that I get to wear boots. lol. 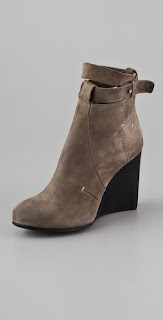 booties, suede, boots, stacked heel...yes please!!! 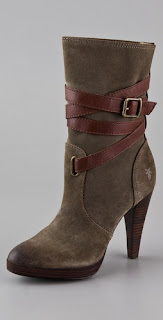 I'm loving the Harlow boot! 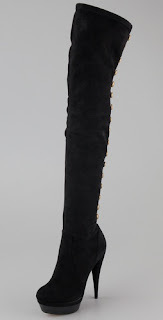 I have a gorgeous pair of knee-high Nine West boots that I sooo look forward to bringing out ever year. I lvoe the grey boots at the beginning ! 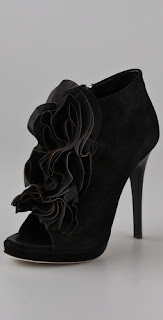 Love love love that ruffled bootie! nice post. Now you can use this b2b portal for bulk leather footwear import & export business.